I am soon to shoot a short on super 16mm and the director has become keen on the idea of shooting in 1:2.35 widescreen. This is a format I love but have never attempted before on 16mm using spherical lenses due to the relatively small negative area you would be using to form the image. Does anyone out there have experience of this or better yet know of any examples of films that have been shot this way. in defence of the idea we are shooting predominantly day exteriors in the highlands of Scotland (great light, esp. this time of year,)and so can use good primes at a healthily stop on good slow emulsion. I have shot anamorphic on 16mm but it’s pretty messy and ironically you still throw away some neg area with a 2:1 squeeze as you frame academy in a super 16 frame and crop to left and right! Love to hear anyone's thoughts on the matter. If I get the fear I will suggest to the director that we go 1:1.85 for cinema compatibility. >> I am soon to shoot a short on super 16mm and the director has become keen on the idea of >>shooting in 1:2.35 widescreen. Does anyone out there have experience of this or better yet know of >>any examples of films that have been shot this way. Best recent example of this is Aranofski's "The Wrestler" shot on a 416 mostly with a 12mm Zeiss Superspeed and Kodak 250D and 500T, I believe. Went through a 2K Di scanned on an Arriscan at Technicolor. Even with these faster stocks the colour fidelity and sharpness clearly outperformed the SI-2K on a 70' (21.3M) screen. This was a spherical S-16 with a crop If you want even better sharper lower noise look use 50D and 200T instead. In addition to the things you mentioned, I'd suggest that you always shoot a framing chart at the head of each roll, and then be prepared to get calls from the lab at odd hours. However, if I were to shoot another 2.35 feature on the cheap, I'd probably use 2 perf 35mm instead. couple of notes from a logistics perspective. removable GG, and we have even used a bit of scotch tape (the "magic" kind for minimal residue) on an Aaton LTR (non-removable GG) with no adverse affects. *Don't* make your operator have to guess - give them a real 2.35 frame in the eyepiece. can tweak in both directions in the xfer if necessary. My recommendation is to use the new HAWK 1.3x anamorphic lenses made for Super-16 to 2.35:1 scope format. With this lenses you use the hole negative area of S-16. More info about this new lenses can you find at Vantage Film. >> With this lenses you use the hole negative area of S-16. "And though the holes were rather small. They had to count them all Now they know how many holes it takes to fill the Albert Hall"
>>"And though the holes were rather small They had to count them all Now they know how many >>holes it takes to fill the Albert Hall"
"What is the toughest thing about making a film? Putting in the little holes. The sprocket holes are the hardest thing to make. Everything else is easy, but all night you have to sit with that little puncher and make the holes on the side of the film. You could faint from that work. The rest is easy: the script is easy, the acting is easy, the directing is a breeze...but the sprockets will tear your heart out. " Holier than thou, eh, Dominic? >> Holier than thou, eh, Dominic? Double the width and add a perf and you've got IMAX. >> Double the width and add a perf and you've got IMAX. there's always anamorphic lenses. Kind of surprising that nobody seems interested in anamorphic IMAX, actually. Of course if it got popular there would be rampant rumours about steroid use among camera operators. I shoot most of Tacita Dean's films on Anamorphic 16mm. These are only a few places that they have been shown. They have all been shown around the world in major art galleries and only as projected film and they all look beautiful. They are projected quite large in darkened galleries. The largest showing was at Shaulager in Basel for Tacita's retrospective. I use the standard 16mm gate with my Russian Anamorphics 35mm, 50mm and 75mm. They have PL/BNCR double mounts. I also use a 25mm Cooke with a Kowa Anamorphic on the front. The Russian Anamorphics have a great look and it's only a dormitory story that they are soft at the sides, they are sharp over the whole frame. The Kodak stocks now are excellent and I usually find it hard togo past 250D with it's very wide latitude and mixed light acceptance. At the moment Taicta is cutting a film we shot with two 16mm Arri’s. We used SR3s from Clairmont Los Angeles with Cooke anamorphics. Clairmont gave us excellent equipment and we used it to shoot with Merce Cunningham in San Francisco, The Craneway Event. You can Google that. 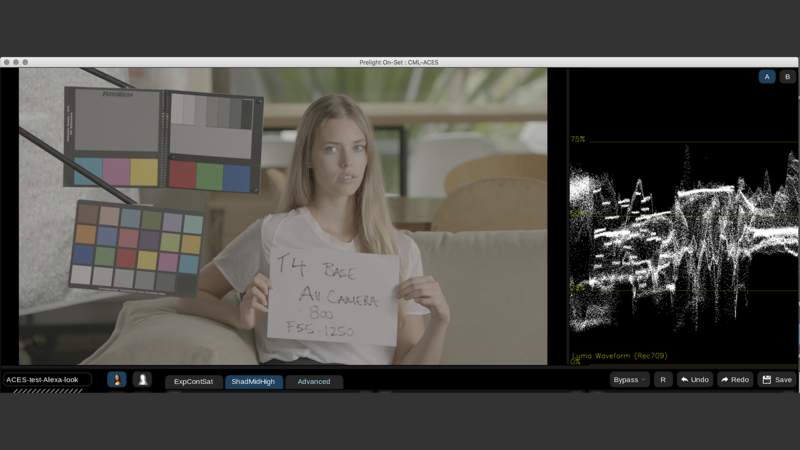 Give me a call if you want to shoot a test with my Anamorphics, they are for hire.